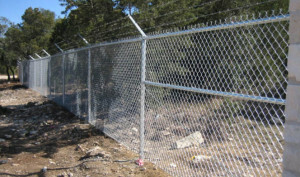 As the name suggests, security fencing is used to protect you and your property. There are a number of solutions to this problem but coming up with a solution that is also aesthetically pleasing is a challenge. There are also strict council regulations that inhibit certain materials depending on the area, you’ll need to work with your council when it comes to planning and get authorised approval from them. Cyclone fencing is built out of super sturdy materials. It is also gripped tightly. 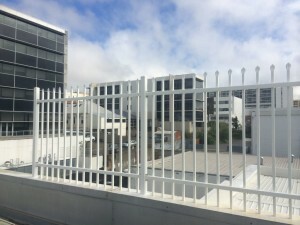 This kind of fencing is one in which the primary factor is the amount of protection it can render and not how good it looks. This doesn’t mean that cyclone fencing should look ugly. It just means that beauty is a secondary criterion that this type of fence should fulfill. There are a few fencing materials, types and colours from which you can choose. Garrison Fencing – This type of fencing is known to be of the heavy duty category among the security fencing It is made of robust tubular steel which is branded for its durability. Usually the top edges are designed with sharp pointers so as to keep the trespassers away. You have very little to worry about when it comes to maintaining the garrison fences. They are simple metal blocks and can remain well maintained all by themselves. Additionally, you can get them painted through which you can avoid corrosion of any sort. These fences are totally custom made. Hence you don’t have to deal with non-uniform designs or ugly protrusions. Palisade Fencing – The highest security option is a Palisade fence. These are barriers built out of solid steel that have vertically placed bars and horizontally secured obstructers as well. 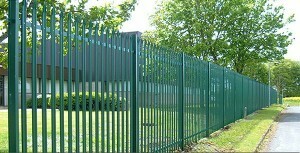 The fencing proves to be of high quality when security of an area is considered. There are no footholds in the installations and spikes are uniformly prevalent throughout the fence. This ensures that the intruders can’t cross the fencing with ease or in less time. Both these options happen to be environment friendly due to the fact that the materials used can be recycled. Added to this, though the aesthetic appearance is not totally imperative to security fencing, they give a very decent and uniform look. Also, they follow the classy fencing outline while keeping the pattern variation minimal and appealing.